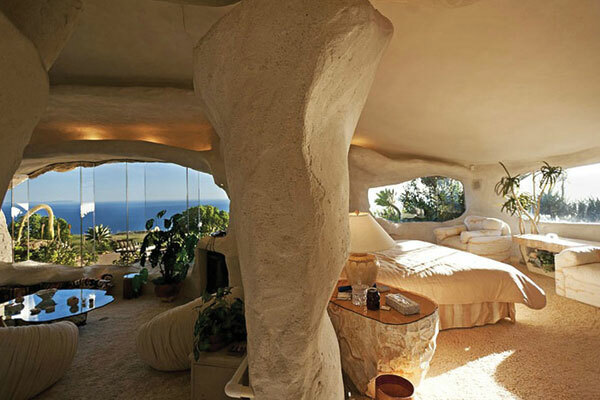 In this beautiful one-of-a-kind landmark property along the famed Malibu Coast line, you too can now own a piece of architectural history! Conceptualized by none other than a world renowned TV icon to boot….. He is most notably known for his legendary humorous acts and hosting gigs, but this celebrated Television icon also was known for his unbelievable eye for a unique Real Estate venture. 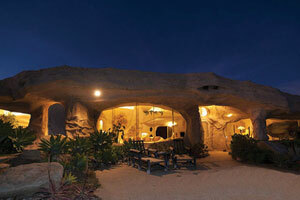 Built in Dec. 2005, Clark made sure to not miss any attention to detail within this 1960’s inspired Flinstone Estate. 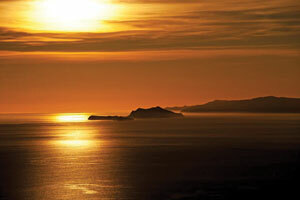 Featuring unparalleled 360 degree views of the Pacific Ocean, Channel Islands, Boney Mountains, Sunsets and City Lights, Clark’s idea for an innovative construction project definitely held true to its famed value! The landmark property has been featured multiple times, on popular shows such as HGTV’s Most celebrated Homes, amongst many others. This imaginative architectural creation is nestled atop a secluded promontory, surrounded by nature on approx. 22.89 acres, with voluminous interior space and ever changing views from every room of this home, it truly influences its intimate connection with nature. 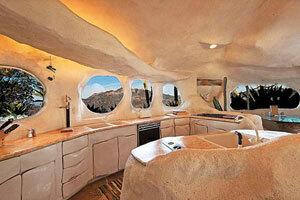 This Flinstones-esque home is currently listing for $2,550,000. More listing information can be requested from agent, Diane Carter with Coldwell Banker International, Malibu Colony. Diane can be contacted at 310.924.9707, dianecart@aol.com.